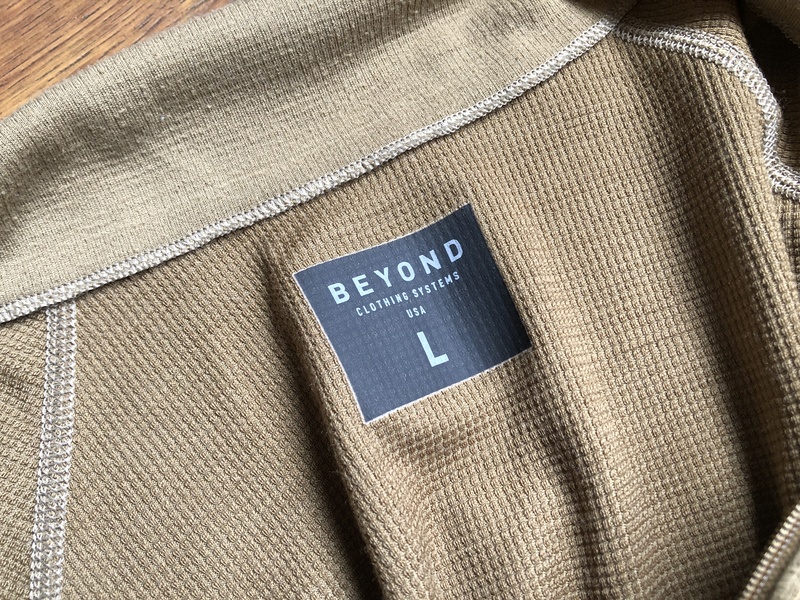 This is a look at Polartec’s Power Wool material and less a look at this particular garment from Beyond, however, I will touch a bit on both. I’ve been testing this fabric now for 4 months, using it as a base layer on dozens of cold weather workouts and during other outings. Polartec’s Power Wool is a merino wool and synthetic fiber blend — like all blends the goal is to gain the odor resistance and moisture wicking from the merino while adding durability and other attributes from the synthetic fibers it is woven with. (CODURA sells a similar variant called ‘Combat Wool’, both find their heritage with the military. This is an 80% nylon, 20% merino blend.) The Power Wool in this garment is 72% Polyester and 28% wool. I’ve had a hard time finding details on what the makeup of Power Wool is, but these LL Bean pants are: 45% nylon, 40% merino, 15% spandex. Stio has a similar base layer and notes it is 70% polyester, 30% merino. Overall, this is a low merino percentage, as it doesn’t feel like most merino and instead feels quite durable. It seems there’s a lot of variability in the Power Wool line of fabrics. The seams are all flat, so even with my GORUCK on, I never felt the seams bothering me. The collar comes up rather high and does an excellent job keeping your neck warm. The zipper also has a nice chin guard to keep you comfortable. The shirt is cut longer in the back which was nice when wearing a backpack. It’s cut short in the front so it doesn’t come down much over your pants. Overall a very comfortable fit, especially for something that is very fitted. The primary purpose of this garment is to keep you warm (it’s a thing Beyond is known for), and I bought this for specifically wearing during my workouts in the cold Pacific Northwest winters. I wore only this shirt under a windbreaker in 36° F and rainy weather many times and never felt cold. At the same time, the shirt and fabric do a fantastic job wicking away moisture to regulate my temperature. When comparing it to something like Outdoor Research’s Sequence shirt that Steve and I like, it’s much warmer. Part of this is the weight of the fabric, which is heavier, and the other part is that it sits against your skin. Both lead to a garment that is very warm. The waffle pattern also helps to trap air and warm your body while pulling away moisture when you start to sweat. It’s a perfect cold weather warm layer for me. The big thing on this site, and with Power Wool, was to find out if adding merino really gives any benefit to the garment at all. Materials like polyester or nylon (which ever is used here) are like sponges for odor — and often they end up getting stinky much faster than cotton alone. The goal is that by adding merino, you add in enough odor resistance to make a big difference. I’m not sure Polartec has succeeded with that here. Comparing this shirt to other merino blends I have, I can expect to get 2-3 wears out of those items before odor is an issue. Even when not wearing this shirt for workouts I can only get 1-2 wears on average before the smell is noticeable enough that I won’t wear it again. The merino content is too low to do anything but help with temperature regulation. I often found that even after hanging the shirt for two days the odor was still too strong to wear again — which is disappointing. However, when wearing the shirt, it stinks up far slower than a normal all synthetic shirt. I’m not an overall fan of Power Wool as something I would be looking for in a travel or daily wear garment. It’s a specialized blend that seems geared towards making synthetic garments less stinky and better at wicking. To that end, when compared directly to other synthetic base layers I have, this is far and away better. However, when compared with other merino base layers, it lags far behind. 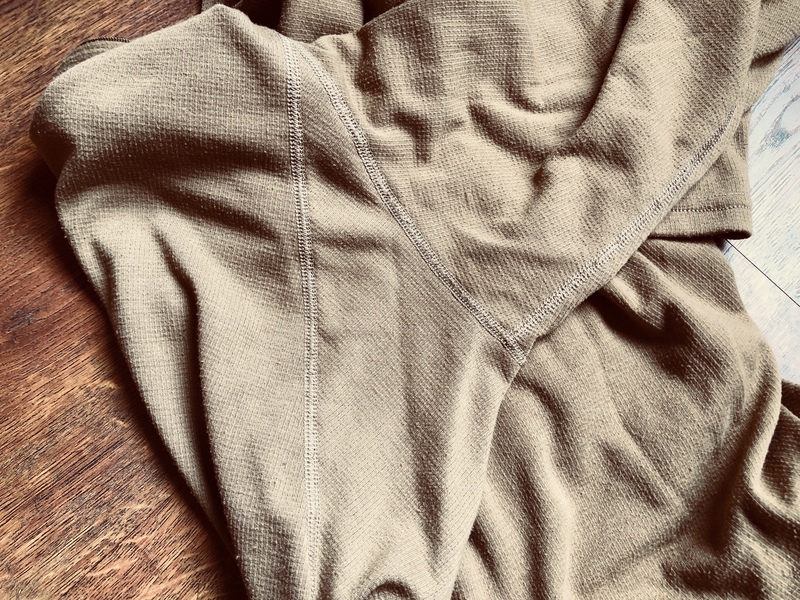 As a durable base layer, for hiking or hunting, I’d choose this any time — it’s warm and performs well in scenarios where odor is less of a concern. For everyday wear, I would search for something with a higher merino content.